Least favored household chore: the bathroom. Least favored bathroom chore: the shower. Why do I hate it so? 1. It’s just gross. 2. Our shower drain is constantly getting clogged, mostly thanks to my long hair. 3. Hard water causes really gross build up on the shower walls. The good news is this: there is a natural and affordable solution to the latter two issues! 1. Pour a pot of boiling water down your drain. 2. 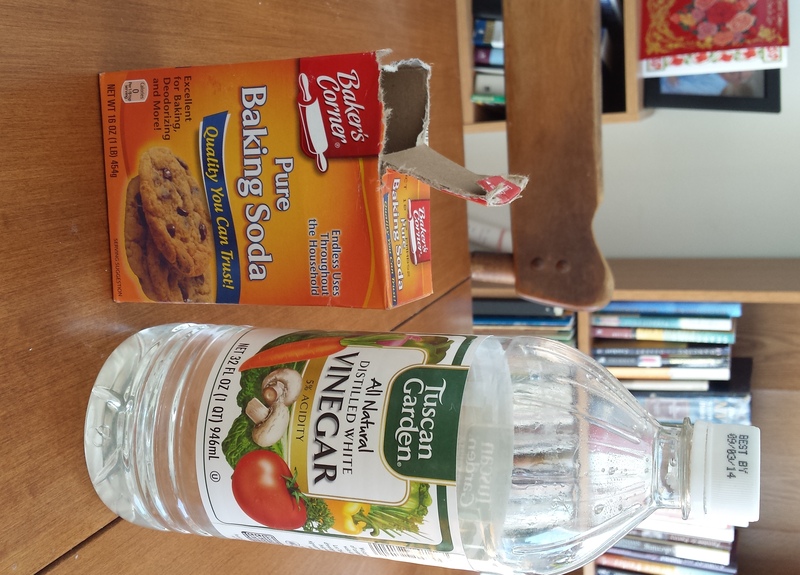 Mix 1/2 cup of baking soda with 1/2 cup of water. Pour it down the drain. 2. 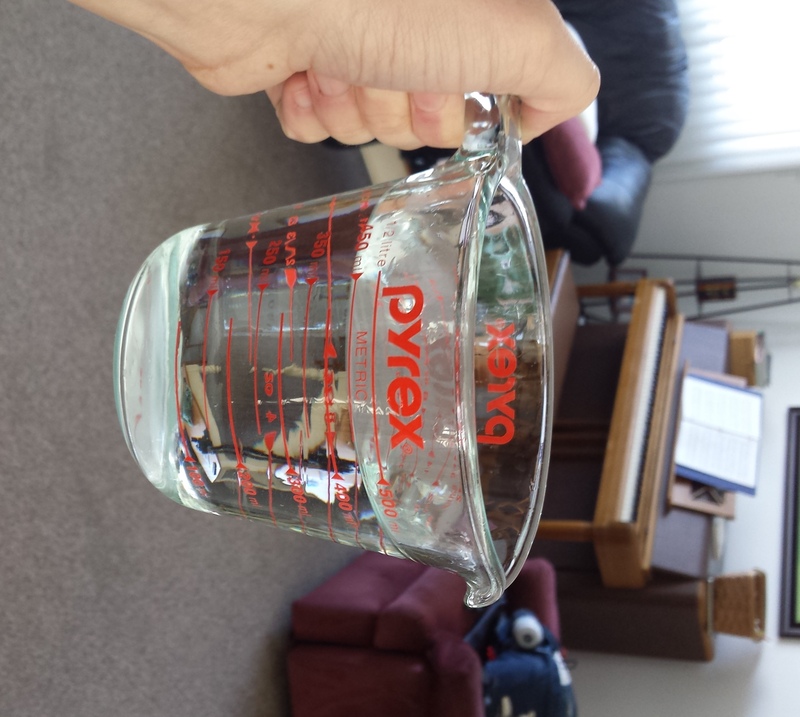 Mix 1 cup hot water with 1 cup vinegar. 3. Pour down the drain. 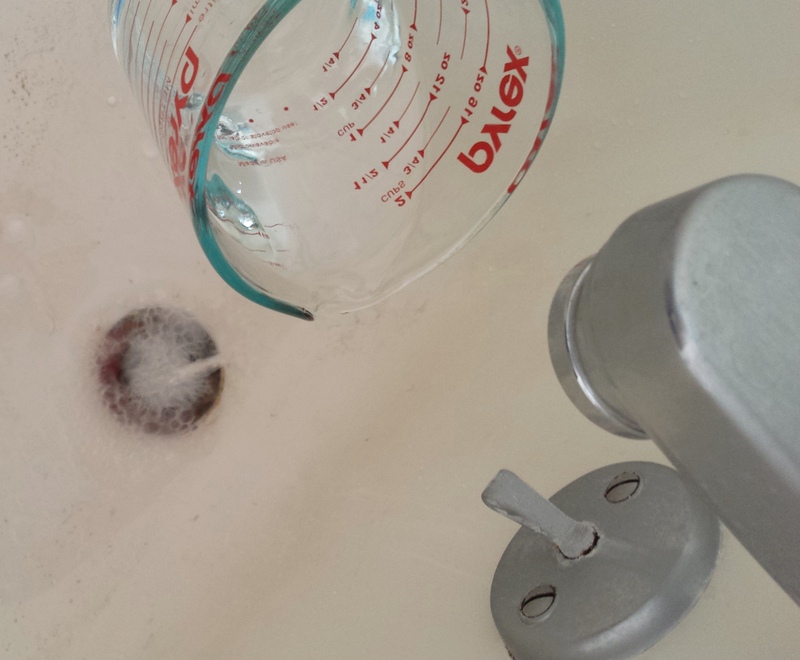 You will immediately see fizz–that’s the vinegar reacting to the baking soda hanging out in your drain. It’s that fizzing that will break through all the gunk down there and clear the drain. Keep as much of the reaction inside the drain as possible–pour slowly! 4. Let it sit for 10-15 minutes. It’s working its magic. 5. Flush with another pot of boiling water. 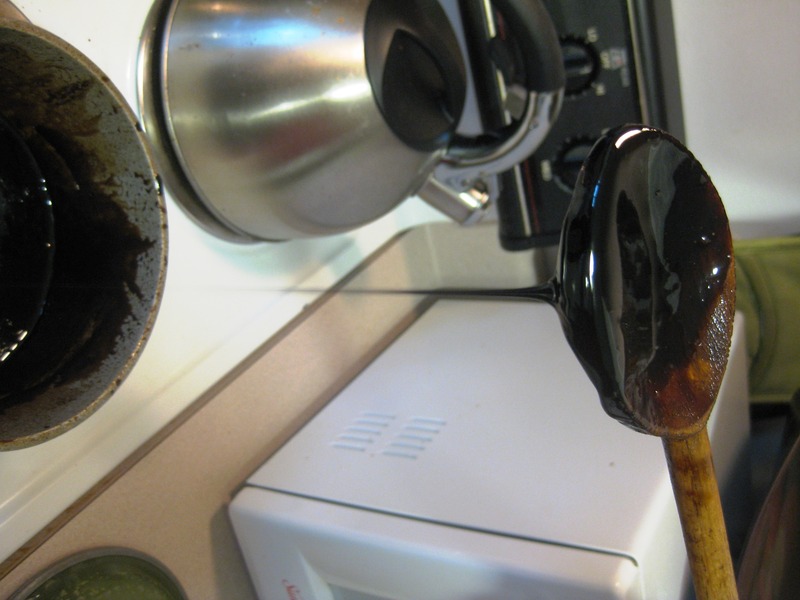 Depending on how bad your drain was clogged, you might have to do this 1-2 more times. Our shower drain usually requires at least 2. 1. 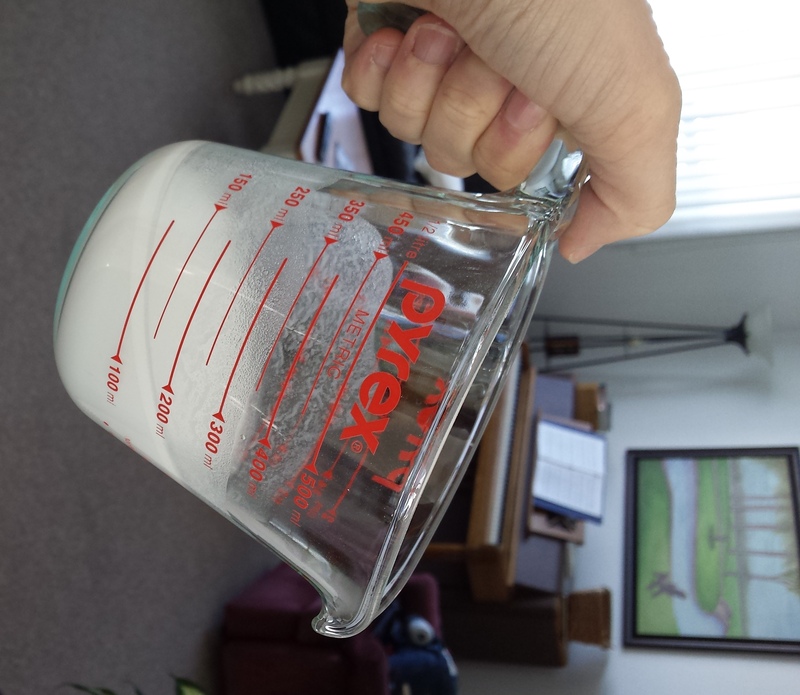 Mix 1/2 cup baking soda with 1/4 cup water to make a paste. 2. Use this paste and a sponge to clean your shower walls. 3. After you’ve scrubbed, wipe the walls down with a wet rag or spray them with your shower head to rinse the baking soda off. The texture of the baking soda acts as an abrasive, and it’s completely natural. Not to mention cheap! If you have hard water and the sponge isn’t cutting it, use a Brillo pad or steel wool instead, and the hard water build up will come right off! If you look up recipes for a Balsamic Glaze (or reduction), you’ll find varying directions. Some say to add a sweetener. Others say to leave it alone. Some say it will take 10 minutes to reduce, others tell you to plan on an hour. Add the vinegar and sweetener to a sauce pan, and bring to a boil. Once it boils, reduce heat to medium low. Allow the vinegar to simmer, stirring every two or three minutes. When it reaches your desired consistency, or the end of your patience, you’re done! In the spirit of transparency, I was pretty sure my vinegar was never going to thicken after it had been simmering for 25 minutes. Figuring it couldn’t get any worse, I left it on the stove to simmer some more. Within 10 minutes of my pronouncing the project a massive failure, it had formed a delightful, silky syrup. Lesson learned: don’t give up! 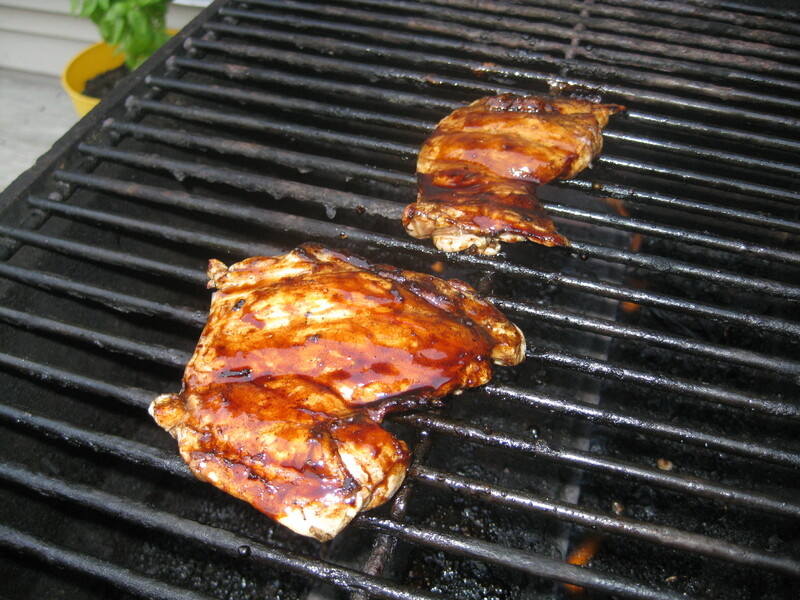 This glaze would be delightful on any meat or veggies you’re grilling. Also, it can be used as a salad dressing. I hear you can even drizzle it over vanilla ice cream! I’ll keep you posted on the latter. I’m a bit skeptical.